Chicken and andouille sausage sauteed with onions and peppers. Fresh button mushrooms hand-battered with a side of homemade ranch. 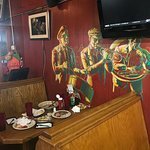 2 cheese sticks, 2 jalapeno poppers, 2 hot wings, hand-battered onion rings and mushrooms. 6 mozzarella cheese sticks with a side of homemade ranch. Pickles​ hand-battered with a side of homemade ranch. 6 jalapenos stuffed with cream cheese with a side of homemade ranch. golden brown French fries covered with shredded jack and cheddar cheeses, bacon bits, and green onion with a side of homemade ranch. Basket of hand-battered onion rings with a side of homemade ranch. 5 pastry pillows stuffed with spicy pork and beef on a bed of fries with a side of homemade ranch. Iceberg lettuce with cherry tomatoes, shredded jack and cheddar cheese, black olives, bacon bits, and seasoned croutons. Garden salad with ham, turkey and boiled eggs. 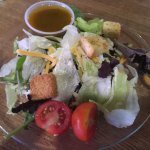 Romaine lettuce, parmesan cheese, black olives, and seasoned croutons with our creamy caesar dressing. Rainbow rotini pasta seasoned in our creamy basil sauce topped with black olives, tomatoes and sprinkled with parmesan cheese. Iceberg lettuce, cherry tomatoes, shredded mozzarella and provolone cheese, genoa salami, ham, muffaletta mix and seasoned croutons. 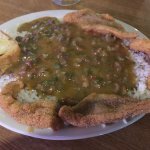 Combination of one seafood: shrimp, catfish, oysters or crawfish tails and one entree: seafood gumbo, filé gumbo, etouffee, or red beans and rice. 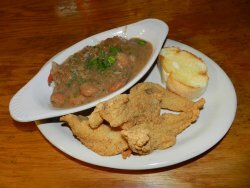 Platter of fried crawfish tails, with hushpuppies and your choice of French fries or onion rings. 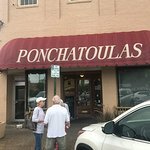 Bakers dozen of butterflied shrimp lightly breaded and fried with hushpuppies and your choice of French fries or onion rings. Platter of oysters lightly breaded and fried with hushpuppies and your choice of French fries or onion rings. 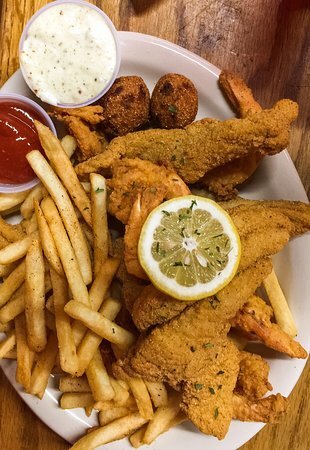 Fried crawfish tails, butterflied shrimp, catfish, oysters, hushpuppies and your choice of French fries or onion rings. Hand-battered chicken strips with your choice of French fries or onion rings. Choice of cup file gumbo or seafood gumbo and crab cake with remoulade. 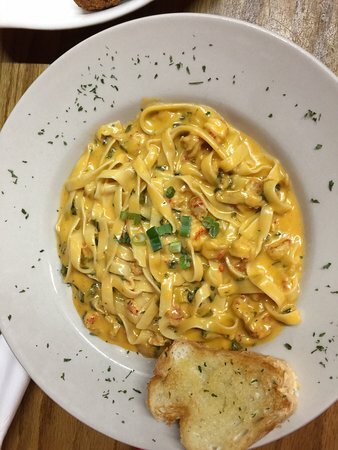 Crawfish tail meat sauteed in butter and green onions in a white wine yellow cheese sauce tossed in fettuccini pasta. 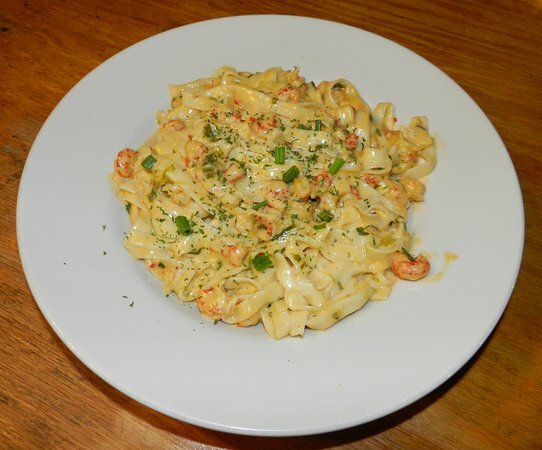 Crawfish tails smothered in onions and peppers in a creamy butter sauce served over steamed rice. 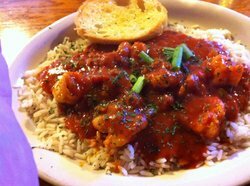 Browned tomatoes, onions and butterflied shrimp served over steamed rice. 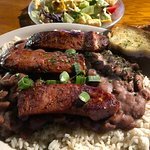 New orleans style red beans, smoked sausage and grilled andouille sausage served over steamed rice. 3/4 Pound chopped steak grilled and served with brown gravy, sautéed onions, mushrooms, and a side of French fries, onion rings or rice. Butterflied chicken breast smothered with sautéed onions, mushrooms, and a blend of jack and cheddar cheeses, and bacon bits, with a side of cheese fries. Hand-battered shrimp with mayo, lettuce, and tomato on toasted French bread. 1/2 Hand-battered shrimp and 1/2 hand-battered oysters with mayo, lettuce, and tomato on toasted French bread. Fresh crawfish tails hand-battered with mayo, lettuce, and tomato on toasted French bread. Hand-battered catfish filet with mayo, lettuce, and tomato. delicious grilled sausage on toasted French bread. Se non si desidera cibo fritto, è necessario cercare altrove. 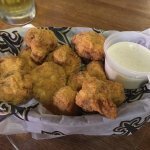 Buona varietà di piatti tipici della Louisiana. Pomodori verdi fritti sono molto buoni. Consiglio vivamente l'esperienza. Vale la pena fermarsi a! ! Cibo e servizio eccellenti. Le offerte speciali per il pranzo erano ottimi e a buon prezzo. Torneremo quando Nel sono. 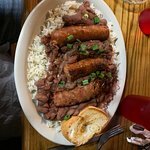 Insalata, pesce fritto, bollito aragosta, poboys. . . ECCEZIONALE! Il servizio è sempre veloce e cordiale. Il cibo è sempre così buono! Ricevi risposte dal personale della struttura Ponchatoulas e dai visitatori precedenti.